He has one with Suseenthiran, a film with Gautham Menon, Shakti Soundar Rajan, Vijay and Samuthirakani. It looks like the Jayam actor is going to have a busy 15 months ahead.Apparently his project with Samuthirakani has been titled as Thondan (Worker). Breaking - Jayam Ravi and Nayanthara to get their cheques from Yuvan? Thuppakki and Arrambam connect Jayam Ravi’s next! This page hosts a weekly slideshow related to Tamil movies. Each slide includes a picture and some description about that picture. All the slides will have a recurring theme. People looking for actress stills, actress images, actor stills, actor images, movie stills, movie images, and other interesting topics, relevant issues in Tamil cinema will find this page useful. BREAKING: JAYAM RAVI TURNS A THONDAN FOR SAMUTHIRAKANI? 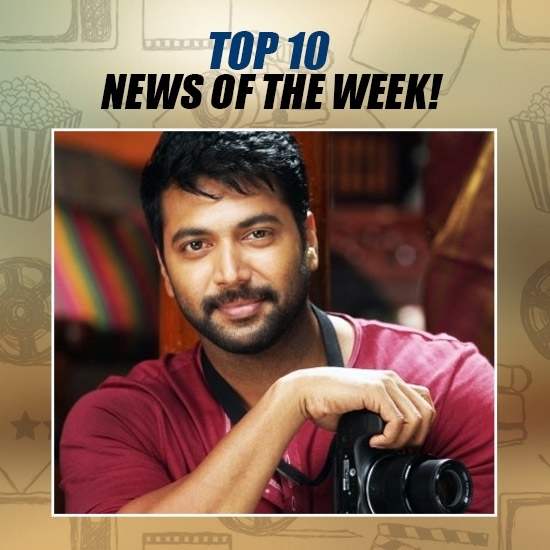 | TOP 10 NEWS OF THE WEEK (MAY 22 - MAY 28).